Chris Martin is a British musician, the lead singer and the soloist of Coldplay rock band. Also, he is an owner of a Grammy award and, moreover, is an ex-husband of the Hollywood star Gwyneth Paltrow. Christopher Anthony John Martin was born in March of 1977, according to some sources - in Exeter, the principal town of the County of Devonshire, according to the others – in the village of Whitestone. Chris was a firstborn among five children of the accountant Anthony and a music teacher Alison Martin. The English businessman William Willett, who was a creator of the idea of British Summertime and changing of time zone was one of Chris's ancestors. Chris spent his childhood at preparatory school - Exeter Cathedral School and at Sherborne School in Dorset. In the last one, he has made friends with Phil Harvey who later would become the manager of the music group founded by Martin. Besides, he sang in the church choir. After the future musician had finished these educational institutions, he entered the University College London on the faculty of Ancient World Studies. Here he has mastered Greek and Latin languages and, moreover, has made friends who shared his musical addictions. Guy Berryman, Will Champion, Jonny Buckland and Chris have united and created the band called Coldplay. The bands A-ha and U-2 have had an impact on Chris's fancy for music. In the beginning, the musician had an idea of the creation of the boys' band and even came up with the title – Pectoralz. Though, as a result, the friends have chosen "alternative rock" style and already a well-known name. In general, the debut disc under the title ''Safety'' wasn't especially remembered by the music critics and ordinary listeners. In 2000 Martin's band released their first studio album – ''Parachutes'', which seven times became platinum in Britain and twice – in the USA and Canada. This album received Grammy award and its British version - Brit Awards. Moreover, it was nominated for the Mercury Music Prize. What about another regalia of this album, it received the 12th position in the list of 20 most sold records of the 21st century in Great Britain, the 25th place – in one hundred of the greatest albums of all times according to Channel 4. Ironically, despite its tremendous success, the lead singer of Coldplay band stated that the group didn't like the album so much. 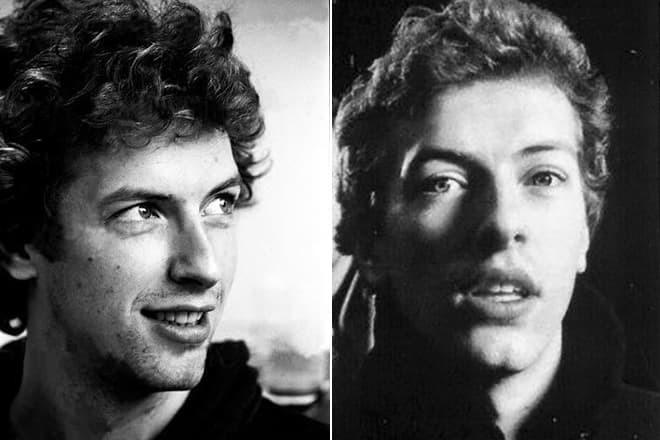 Though it is known that Chris likes creative works of his band under the title - ''Glass of Water'' and the title song of the album ''A Head Full of Dreams''. By the way, in the promo-single of the latter called ''Everglow'', the background vocal was performed by Gwyneth Paltrow. 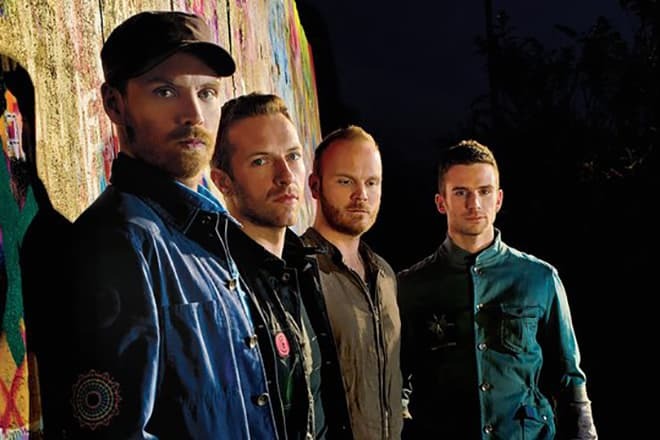 The music band has received Grammy award for eight times for the songs from the albums ''X&Y'', ''Viva la Vida'' or ''Death and All His Friends'', ''Mylo Xyloto''. Besides that, some song videos have got to the rotation and occupied top positions in the music charts. The singer’s solo career appeared to be not less successful. His most versatile colleagues – Nelly Furtado and Jay-Z, Ron Sexsmith and Kanye West, Jamelia and Ian McCulloch can be proud of collaboration with the singer. During his solo career, Chris Martin has recorded nine albums in which the singer appeared as co-author of the songs and the producer as well. After cooperation with Rihanna, the British musician said that then he didn't want to sing with someone else. One can be envious of the rocker’s list of love affairs. The Oscar-winning Hollywood star Gwyneth Paltrow takes the first place. The singer spoke very frankly about his thirst for glory and success, but when it came to the conversation about the family, he closed at once. In general, his wife and daughter have made him a well-known and recognizable face for the press. Chris met the actress in 2002 at his concert. A year later Gwyneth became Martin's wife. They celebrated their wedding secretly and invited only their closest relatives. 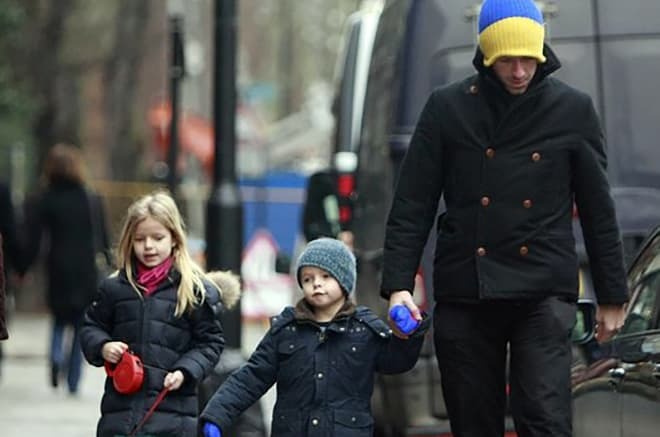 In their marriage, they have two children – their daughter Apple Blythe Alison who was born in London and their son Moses Bruce Antony who was born in New York. Godfathers of Apple are the British comic Simon Pegg, and Martin's colleague from Coldplay - Jonny Buckland became the godfathers of Apple. After twelve years of their life together and the divorce process, which lasted for two years Chris and Gwyneth have separated at last. However, they stayed in good relations. By the words of Martin, they have never shown off in public, and the journalists could think everything they wanted about the relations of the family. The joint and quite friendly photos of Chris with the new beloved man of Paltrow – Brad Falchuk appeared on the web as confirmation of the words "There is friendship after the divorce." The yellow press suspected Martin of having the love affair with Kylie Minogue and Kate Hudson. However, paparazzi managed to capture the musician with the only at the beach and with children. Chris was noticed with the singer during their walk at British Summer Time Festival. The singer's official representative told that the Australian singer and British musician had been friends for a long time, and one came to support another during the concert. 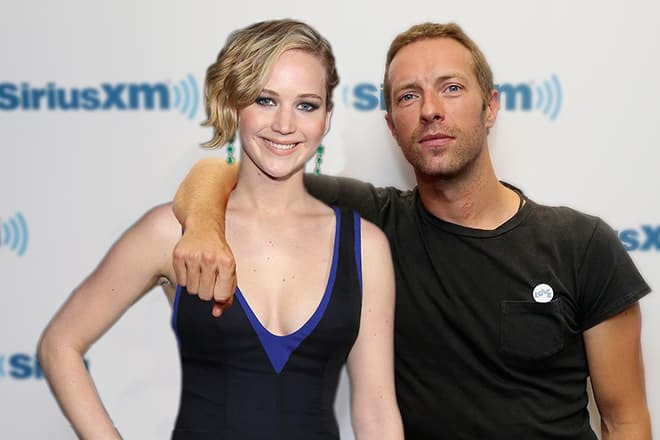 Chris had close relations with one more movie star - Jennifer Lawrence. The musician has devoted to the girl the song under the title ''Atlas'' which has become a soundtrack to the movie picture The Hunger Games: Catching Fire. The couple broke up and then reconciled again. They called their relations friendly or just kept silent. However, by rumor, the actress’s mother was against the development of their love affair. The woman considered that her daughter's boyfriend was spending too much time with his former family. Besides, Jennifer’s mother still sympathized with her ex-boyfriend - Nicholas Hoult. As a result, the beautiful blonde returned to him. Then the singer began a relationship with Annabelle Wallis, the actress of the series The Tudors and movie The Mummy. The singer’s friends noted that Chris was mainly looking for a cheerful, sociable girl who would be easy-going and who would differ from Gwyneth who was too serious. The musician's fans have noticed some pattern. Annabelle and Gwyneth not only looked similar in appearance, but also Wallis posted Instagram photos which looked like the images from the page of Martin's ex-wife. At the same time, Chris flirted with the singers Dua Lipa and Katy Perry. With the girl from Kosovo, the British performer was working on the song from her first album. Paparazzi have captured the second one embracing with the lead singer of Coldplay band at Glastonbury Festival. 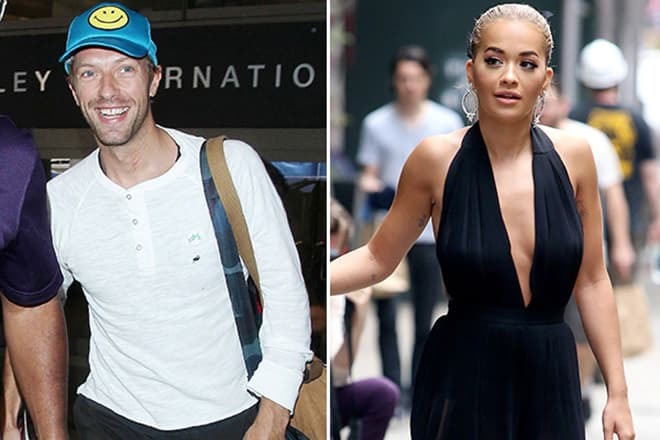 In 2016 the journalists, who followed Martin everywhere found him at night party with the singer Rita Ora. Next morning they captured the celebrity when she was leaving the same hotel where Chris had stayed. It was evident that they had a love affair. 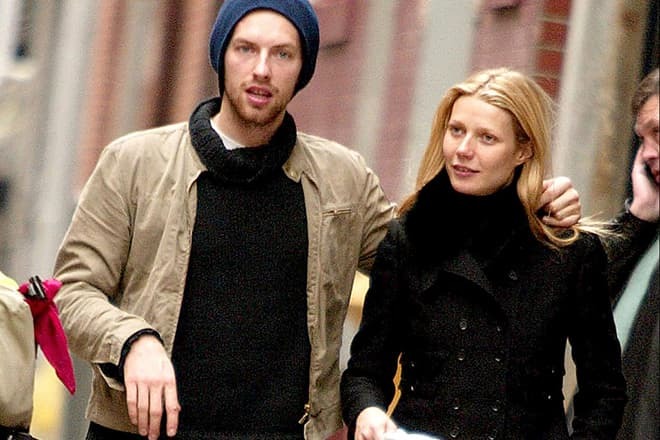 When Martin was Gwyneth Paltrow’s husband, he was a vegetarian. However, the musician doesn’t know how to cook. The Hollywood celebrity told that when Chris appeared in the kitchen, there came the fire truck. Chris is not a standard rocker as he has no addiction to tobacco, drugs, and alcohol. The singer likes the composition ''Nightswimming'' by R.E.M. band, Scottish Travis group, and ''Bitter Sweet Symphony'' song performed by The Verve. 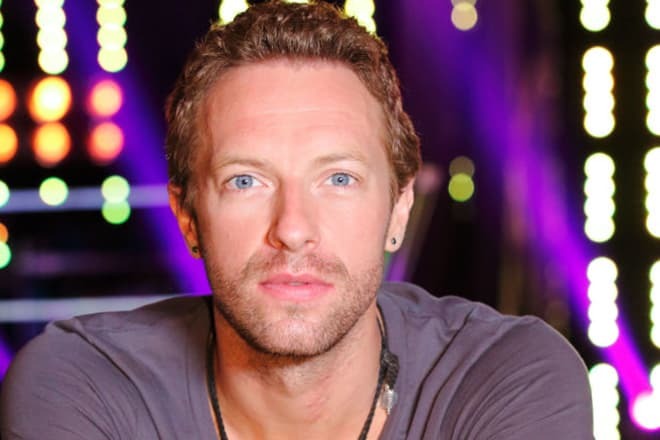 The vocalist of the latter group is a favorite singer of Coldplay’s lead singer. The musician takes part in charitable projects. Besides, he buys expensive artworks and donates the money from its sale to the charity foundations. Also, Martin has recorded compositions for the Band-Aid which was founded primarily for a whip-round for the starving children of Ethiopia. Chris has presented his first guitar at the auction. The money forms its sale were transferred to the organization which helps children from underprivileged families. In July 2017 Forbes has published the list of the wealthiest European celebrities. 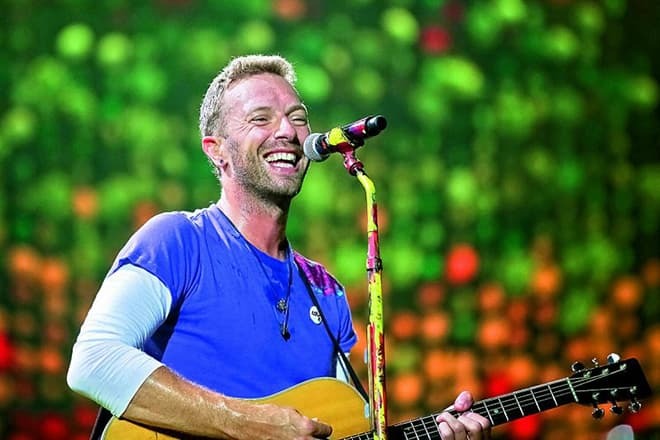 The Coldplay band has taken the third position, having earned $88 million in a year. Charming, blue-eyed, tall (the musician is 186 cm high) singer doesn’t lack female attention. 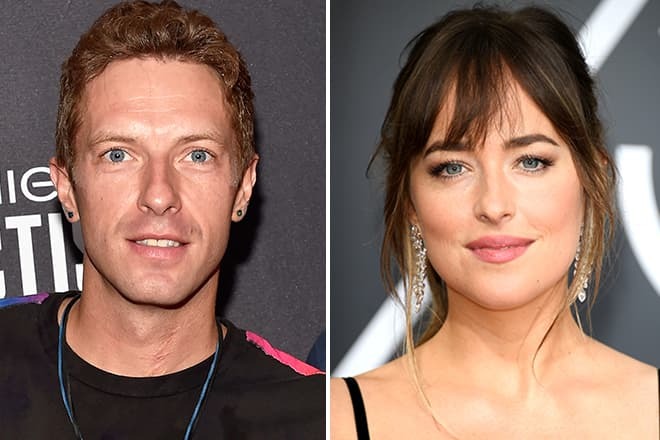 At the end of 2017, there was confirmed the next love affair with Chris, this time with Dakota Johnson, a well-known daughter of Don Johnson and Melanie Griffith. The actress and model are famous due to her role in the movie Fifty Shades of Grey. The girl has already introduced her beloved man to her father. A star of Miami Vice is a little worried about the fact that her daughter’s relations are developing so fast.